iDancehallReggae.com::Caribbean Lifestyle Media::: TeFF FREESTYLES NEW EP "STRAIGHT OFF THE TOP"
TeFF FREESTYLES NEW EP "STRAIGHT OFF THE TOP"
After an exceptional start to 2013, TeFF shows no sign of slowing down as we begin the second quarter of the year. 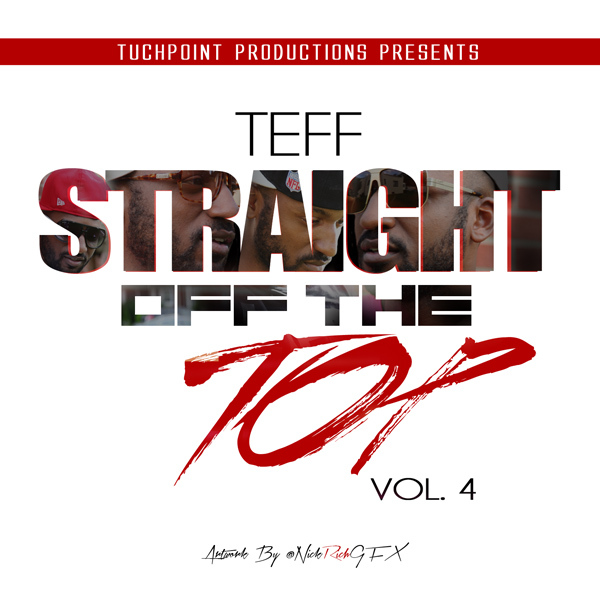 His producer, Aden “TuchPoint” Emmanuel of TuchPoint Productions label, is set to release TeFF’s latest EP titled “Straight Off The Top, Volume 4” on April 4, 2013. The EP starts off with an amazing a cappella freestyle from this very versatile artist then continues the freestyle on an old school riddim. TeFF approaches the freestyles with such ease, giving the listener an earful but still leaving us wanting more. “Straight Off The Top” is full of TeFF’s hits of 2012 like “Disappear” and “Payphone (remix)” featuring Maroon 5. There are mostly new releases of 2013 like “Love Contact”, “Bounce” and “All Gold (Reggae remix)”. Making the cut too is the “Clique Freestyle” where TeFF shows off his rapping skills and the recent eye-opener, “FREAKS (remix)” featuring French Montana and Nicki Minaj. His recent smash hit, a Soca track called “Carnival Road”, finishes off the compilation. For an eclectic collection of various genres of music, TeFF satisfies every need with “Straight Off The Top”. Whether you like Reggae, Dancehall, Hip-Hop or Soca, there’s something there to soothe your soul. “Straight Off The Top” is available for a free download online. You may contact his PR, Lesley Hayles, for more information and join TeFF’s remarkable journey to success by following him @TeFFtv on both Twitter and Instagram.